We went to Kundasang, Sabah last March for a mini vacation and it was really a last-minute arrangement. 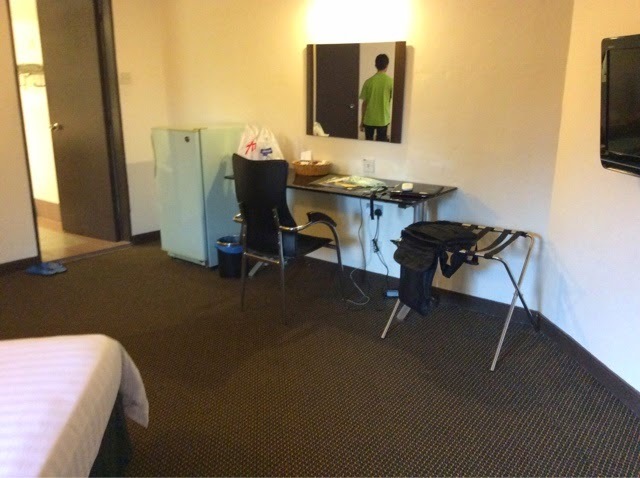 Thanks to Agoda.com, we were able to book a room at Mount Kinabalu Heritage Resort & Spa. There are two types of accommodation at this hotel - a chalet and a regular hotel room. 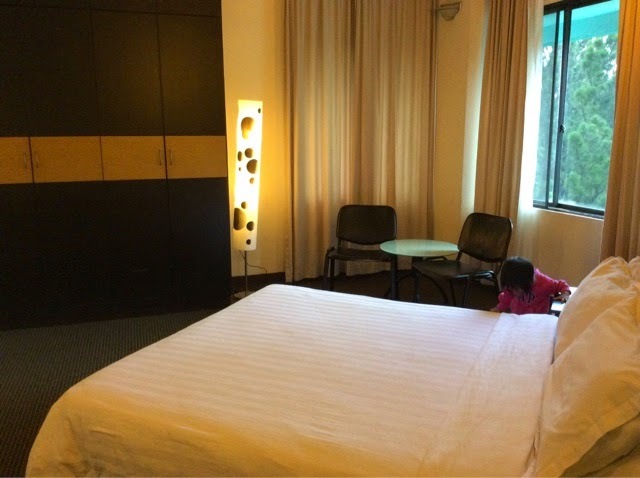 We booked a family suite room at RM370++ per night. 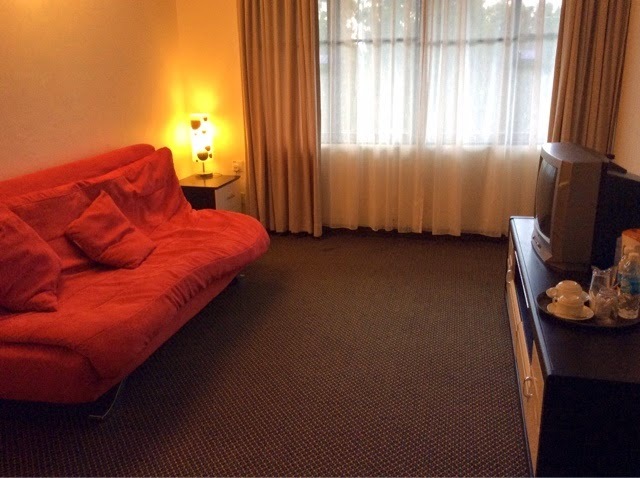 The room could easily accommodate 3 adults and 2 kids. It has one bedroom and one living room with sofa bed, two TVs, a small fridge and a bathroom with a bathtub. The journey from the airport to Kundasang took about 2 hours more or less. Luckily our kids fell asleep during the ride and only woke up when we reached there. The hotel's direction was quite unclear and we ended up lost and had to U-turn before we finally found the route to this hotel. It was situated on top of a small hill. From the roundabout, take the third exit (3 o'clock direction) and proceeded to drive up a winding route before reaching the hotel. We reached the hotel at 12pm and were told that check-in is only at 2pm (due to school holiday season). The staff at the reception counter was not very friendly and only replied to our queries in a curt manner with hardly a smile. Anyway, luckily the hotel room made up for the lack of hospitality. Although the hotel's name implied a resort-like experience, I certainly do not recommend this hotel if you are seeking for a stay-cation. The spa was even closed on Sunday (seriously, and they call themselves a resort & spa hotel??) much to my disappointment. This hotel is great if you are only looking for a comfortable sleeping place. 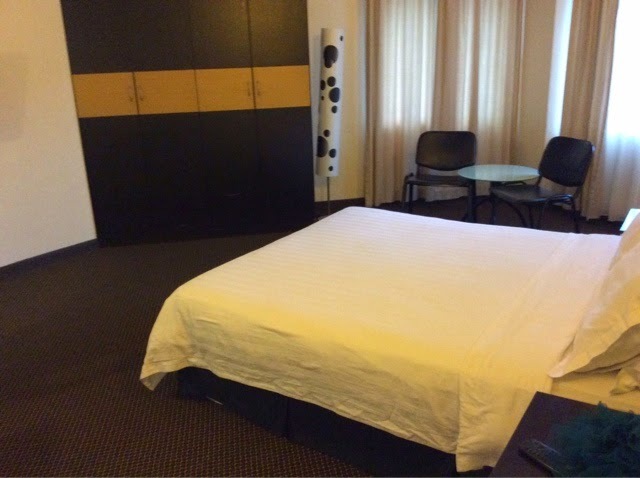 The room does not have an aircond as the weather outside gave natural air-conditioning temperature. It was similar to being in Cameron Highland except that in Cameron Highland, you still get night activities where else in Kundasang, by night-time all the shops were close and it was really dark outside! As usual, my two kids were super excited to stumble upon a bath tub, and wanted to take a bath immediately. We soon discovered that the little rubber sealant was missing. 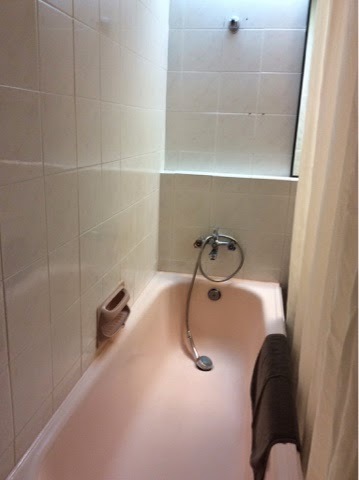 I then decided to use one of the hotel glass to create a sort of vacuum to cover the hole to stop the water from draining. So all was well again. 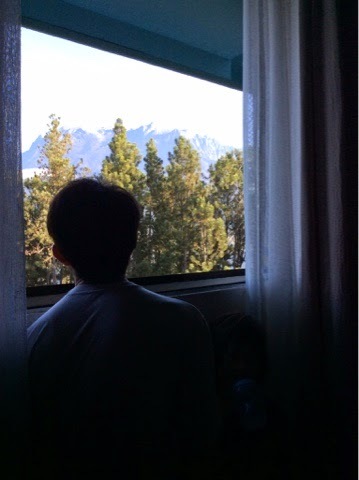 The next day we woke up early and was rewarded by the clear view of Mount Kinabalu peak. It was really breath-taking. Overall, the hotel does not fall into the category of a resort hotel judging by the level of service they offered. To me, it is just an average 3-star hotel with really good potential except that the management needs to look into upgrading their services, refurbishing their room and perhaps, hospitality training for their front-desk staff. Alamak, hari tu kiteorg setakat jalan2 kat Kundasang & then gi shopping kat 1Borneo shopping complex. Tu pun biasa2 je shopping complex tu. Ko x penah lagi ke gi Kundasang? Sabah belum lagi, tu yang nak tahu details. Kundasang banyak tempat best tak? Ko naik flight kan pergi KK? Then ko sewa kereta ye? Banyak sbnrnya tapi sbb tu trip mengejut and mmg aku aim nak pegi Desa Cattle Dairy Farm plus shopping kat 1Borneo (almaklumlah Bintulu pekan kecik takde shopping mall), so kiteorg tak de la menyinggah ke Poring Hot Spring, Kinabalu Park, Rafflesia garden etc. Tapi ada la singgah kat Rumah Terbalik Tamparuli sbb on the way turun daripada Kundasang.